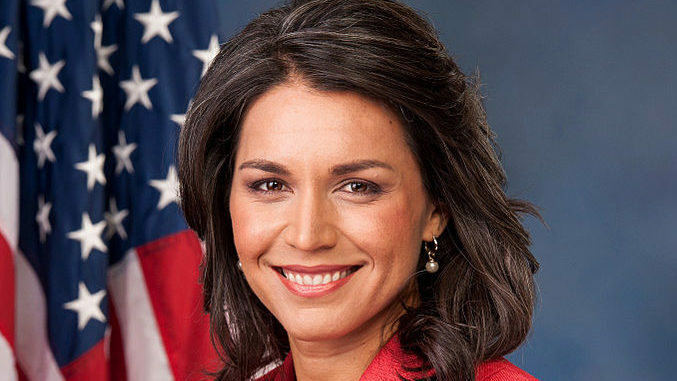 On Friday, February 1st, NBC released an expose stating the Russian propaganda machine was pushing hard on the side of Tulsi Gabbard, the Hawaiian Representative and 2020 Democratic Presidential nominee hopeful. The article also cites cybersecurity firm New Knowledge‘s project, Disinfo2018, as tracing a “chatter” on various Russian troll social media accounts (as of this writing, the Disinfo2018 website appears to be down). New Knowledge has also authored a Senate report on 2016 election interference. Seems pretty straightforward. Russian media praises Gabbard, Russian trolls repost those articles, pushing Gabbard more to the forefront. Enter The Intercept. On Sunday, February 3rd, The Intercept posted their own analysis of NBC’s story. They take specific issue with New Knowledge being used as “proof” of Russian Troll involvement. The reason? New Knowledge recently got in hot water when it was discovered they faked Russian troll accounts in the Alabama Roy Moore/Doug Jones Senate race. During that race, they created fake Russian accounts to support Roy Moore, then later “outed” the accounts as Russian trolls as “proof” that the Russians supported Moore’s candidacy, and use that information against him. So what does this all mean? Does it mean the original allegations that Gabbard is currently the Russian favorite are false? Not necessarily, as favorable stories can be found on Russian outlets here, here, and here. What the Intercept article does do is cast a shadow on the implications that there is a concerted effort to push Gabbard in the US social media world. Gabbard stated that NBC did this because she was a “threat to the establishment wing of the Democratic Party.” It’s possible, and it’s also possible that it was simply lazy reporting. One thing is for certain, our nosedive into 2020 election propaganda has only just begun. THIS IS AN OPEN THREAD. Feel free to discuss ANY topic.